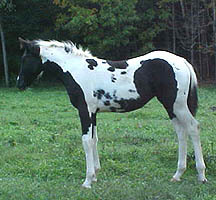 Mohawk Creek Paints & Quarter Horses -- SOLD! 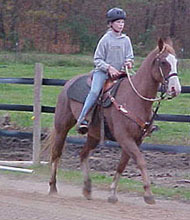 Thank you, Ashley, Glenmont, OH 2005 APHA Homozygous Filly. 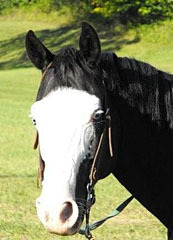 Thank you, Barbara & Jerry in Leesburg Florida "Apollo"
APHA black & white colt. 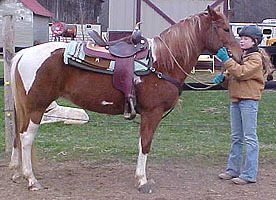 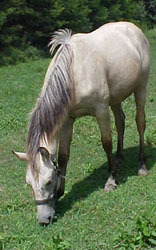 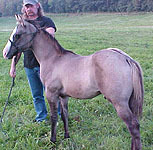 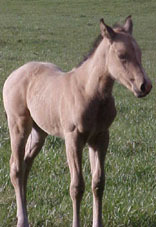 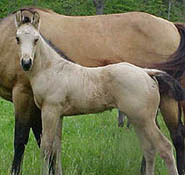 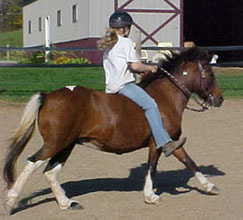 APHA Grullo Breeding Stock Colt. 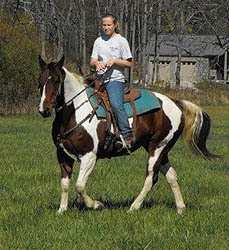 Thank you, Lisa Benci from Michigan "Bubba" -- Dark Star Dream . 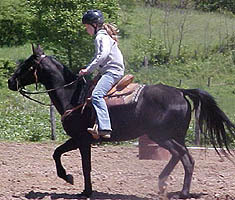 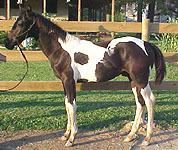 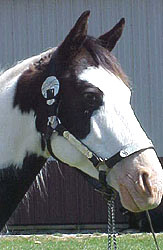 Black Overo Mare APHA # 561,366. 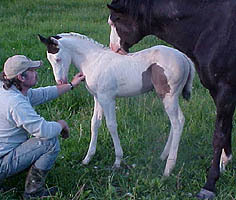 Thank you Whitmans from Pennsylvania "Krystal"
Thank you, George and Shirley "Bluebonnet"
APHA black & white tovero filly. 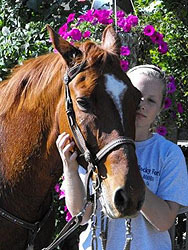 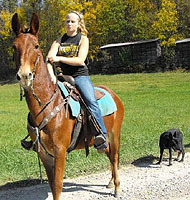 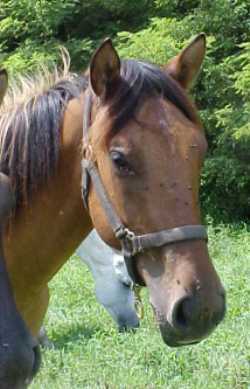 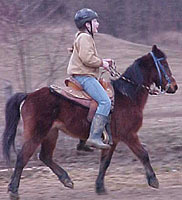 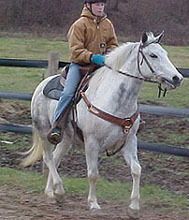 QH/Standardbred gelding Simon, really cool mule!